A rivalry between two Texas high school football teams has triggered allegations of racism. 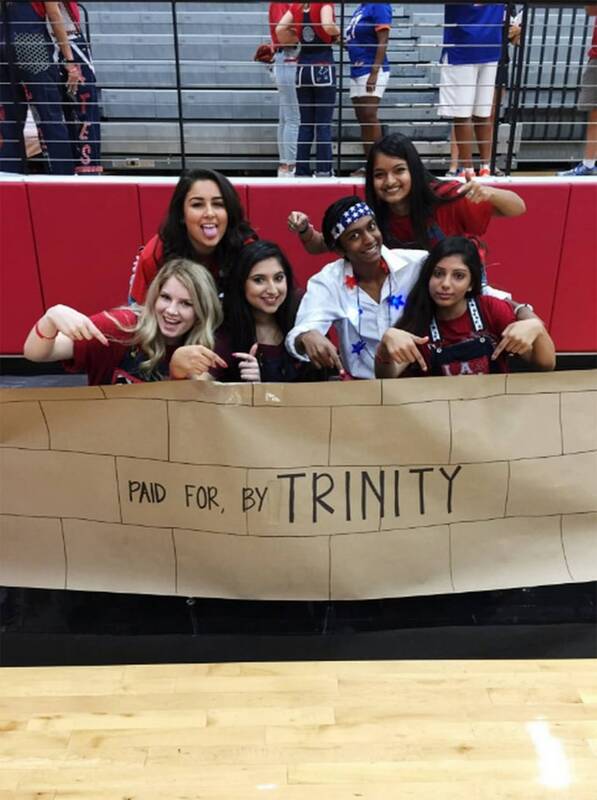 Pictures posted to social media show Colleyville Heritage High School students at a pep rally posing with a poster painted like a wall inscribed with the words, "Paid For by Trinity," in a reference to Trump's remarks about building a wall on the U.S. Mexico border. Colleyville Heritage is in a predominately white and affluent neighborhood. The rival school, Trinity High School, is a more racially and economically diverse school; about one quarter of the students are Latino and about 20 percent are African American. The theme of the pep rally was "Make Colleyville Great Again." Read more about the story on www.nbcdfw.com.